A minute and a half of Ahmad Kharisma is enough tricks to keep you busy for months. Get started. Yoyo used is the Sputnik by YoYoRecreation. 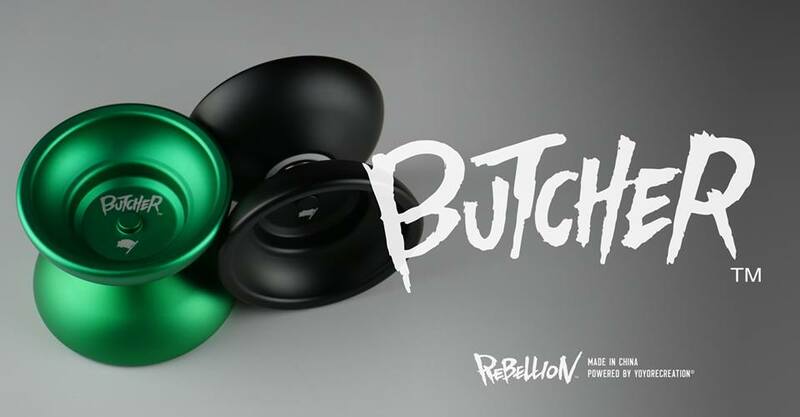 We Are Throwers – Rebellion YoYos Giveaway! There isn’t much time left to support the We Are Throwers documentary on IndieGoGo, but the organizers are offering up a special giveaway to sweeten the deal! Three lucky winners who support the We Are Throwers campaign will win a FULL SET of the new Rebellion by YoYoRecreation line! Three lucky winners will each receive an Acro, Butcher, and Golyat from Rebellion, the new budget brand designed by YoYoRecreation. 1. Contribute any amount to the We Are Throwers campaign. 2. Post the photo above on Instagram, and tag @wearethrowers, #WeAreThrowers, #RebellionYoYo & #yoyonews. 3. The organizers pick three lucky winners at the end of the campaign to receive a special prize pack with a full set of the new Rebellion yoyos! Hirotaka Akiba put together a new video, and it’s gorgeous. Beautifully shot in black and white and tracked with an old Sonny Rollins jazz tune, this new video is a breath of fresh air in comparison to most recent yoyo video releases. Beautiful work! Yoyo used is the YoYoRecreation Sputnik. 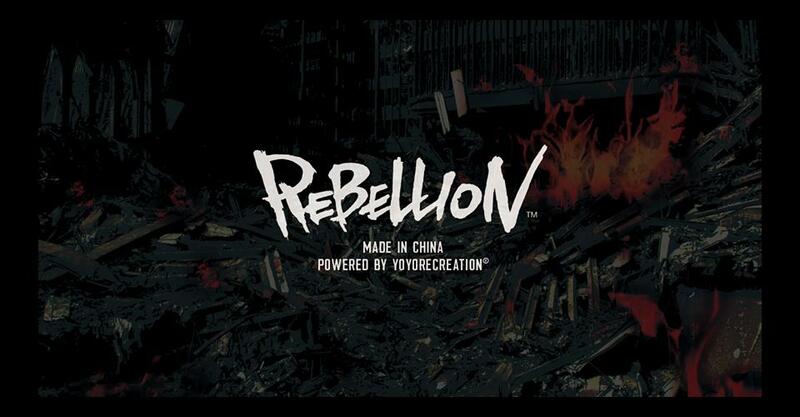 Rebellion is a new brand powered by Yoyorecreation, in a reply for the needs of the market. 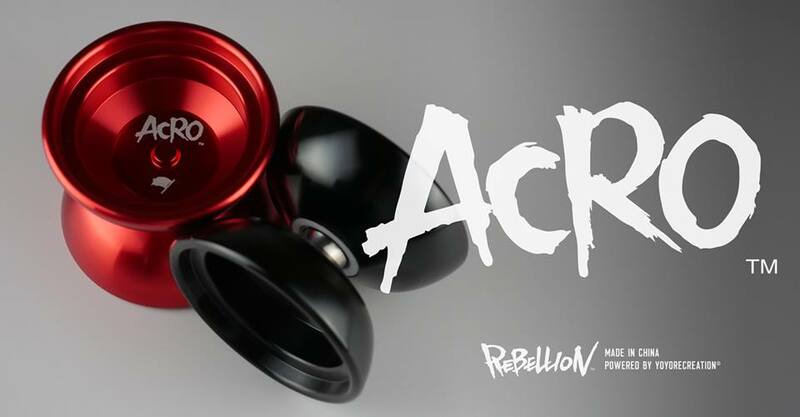 A lot of people want to have Yoyorecreation yoyos but they simply can’t afford it, and thats where Rebellion comes in. 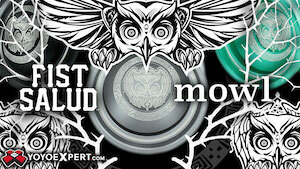 3 brand new yoyos will be released during JN – Acro, Butcher and Golyat. It will be a brand on which I will be working together with Kengo, combining his experience in Japan and mine in Europe. Photos of the three models and the official statement from YoYoRecreation are below…once we get our samples we’ll post full specs and details. This is a huge step forward for YoYoRecreation…we’re looking forward to trying them out! The unique rim shape of the Butcher provides excellent weight distribution and superb performance. This model is aimed at players who prefer an organic feel, and have a balanced play-style which demands all-round performance. The first run will be available in matte green and matte black. Despite its wide shape, the Acro is a very stable yo-yo. It really shines through when performing tricks such as hops which are aided by its width. This first run will be available in red and black. 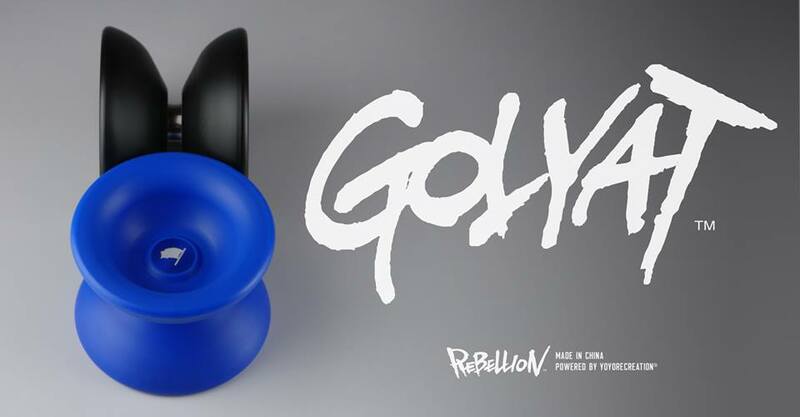 The Golyat has an over-sized shape, machined out of polyacetal resin. The resin has a naturally smooth texture, and the yo-yo plays exceptionally nimbly. The first fun will be available in blue and black. Kento Muraoka has some sweet new 1A tricks in this new video from YoYoRecreation. Yoyo used is the Diffusion by YoYoRecreation. Yoyorecreation player Ryota Torigoe is definitely one of the top counterweight players in the world right now, and the reversal combos in this video are crazy good! Yoyo used is the Sleipnir by YoYoRecreation. YoYoRecreation player Ryosuke Iwasawa took home 1st Place in the 1A Open division at the 2015 European YoYo Championship…so what better way to celebrate than with a top-quality video filmed in Krakow, Poland where the contest was held? Stunning professional quality footage from YoYoRecreation, as always! 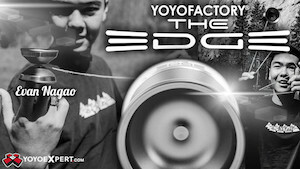 YoYoRecreation has added the incredibly talented Toru Miyazaki to their team! Congratulations to YoYoRecreation and Miyazaki-san on this great pick-up. Check out Toru’s tricks in the new promo video above. Japanese yoyo player and juggler Kensuke “Mizuki” Nakajima put out this short but sweet video. Eli Hop pirouettes!?! Awesome! Yoyo used is the Duncan Flying Panda. Ahmad Kharisma blows minds in his new video, created to promote the release of the new YoYoRecreation Sputnik. Crazy tricks from an amazing yoyo player! Keigo Akita rips through some really nice looking tricks in this new video. Plus, it’s a really nice looking video. Double good. Check out another two minutes of great play from Japan in this new “year end” video from players Syunichi Fukuda and Tatsunari Kado. Crazy good! Yoyos used are the YoYorecreation Diffusion and Triad.